Then, can the school survive two BIG FAT ZOMBIE GOLDFISH? Find out when Tom's evil big brother manages to clone a Jurassic Carp! 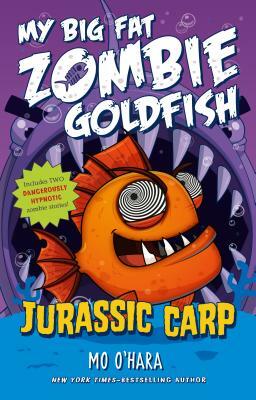 Jurassic Carp: My Big Fat Zombie Goldfish by Mo O'Hara with fun illustrations by Marek Jagucki is a zany chapter book for kids, and is perfect for reluctant readers.